By default, each user will have their Work Portal displayed in the Default language defined at the Global Culture setting of the project. When having multi-language support, after having enabled additional languages as described at Multi-language support, each end user will be able to choose the language they want their Work Portal to be displayed in. 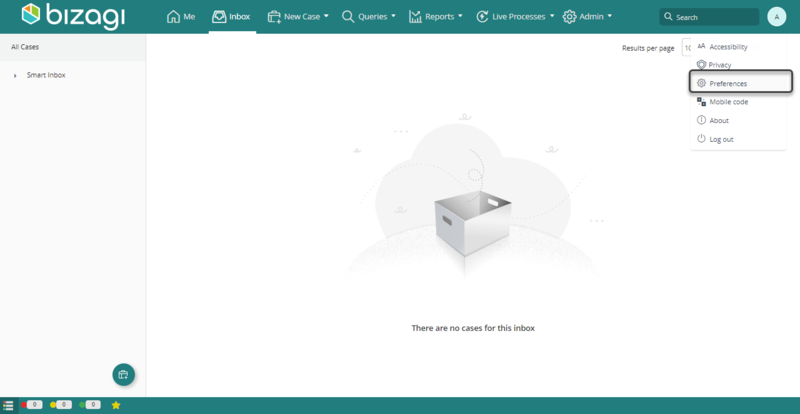 •If the user doesn't select a language on their Portal Preferences (leaves the language as the default one) AND the Global Culture in Bizagi Studio is left as Default; THEN the Work Portal will use the language of the end user's browser. Keep in mind that the Work Portal is supported in 11 languages. Each of them has a default currency and date format. If the browser is not in the 11 languages supported it will be displayed in English. •If the user sets a language in their Portal Preferences AND the Global Culture in Bizagi Studio is left as Default; THEN the Work Portal will use the language set by the user for all menus, dates and currency formats. •If the user doesn’t select a language on their Portal Preferences (leaves the language as the default one) AND a Global Culture is set in Bizagi Studio THEN the Work Portal will use the Global Culture's definition for all menus language, dates and currency format. •If the user sets a language in their Portal Preferences AND a Global Culture is set in Bizagi Studio THEN the Work Portal menus and dates will be displayed in the language chosen by the user and currency format will be defined by the Global Culture. To choose the particular language you want your Work Portal to display, log in to Bizagi with your personal account and click on the Preferences menu option. 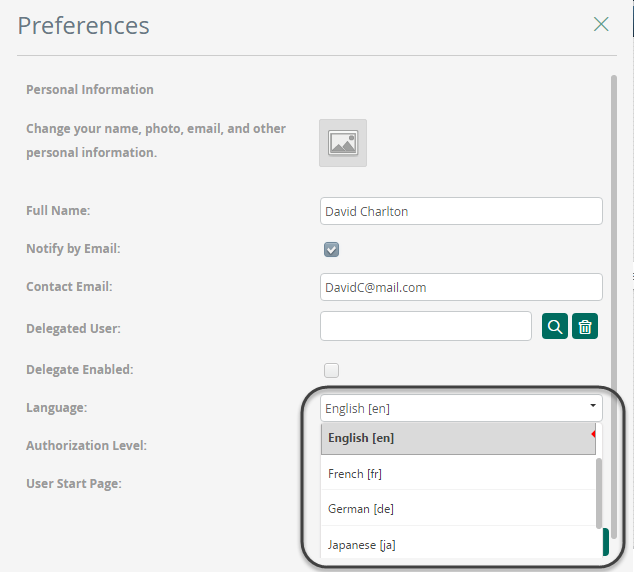 Select your preference from the Language drop-down list and click Update. Recall that only the enabled languages are listed. You may need to refresh your browser in order to view changes.